Football Helmet Beer Bottle Cap Cage (P/N PSA-651FH). 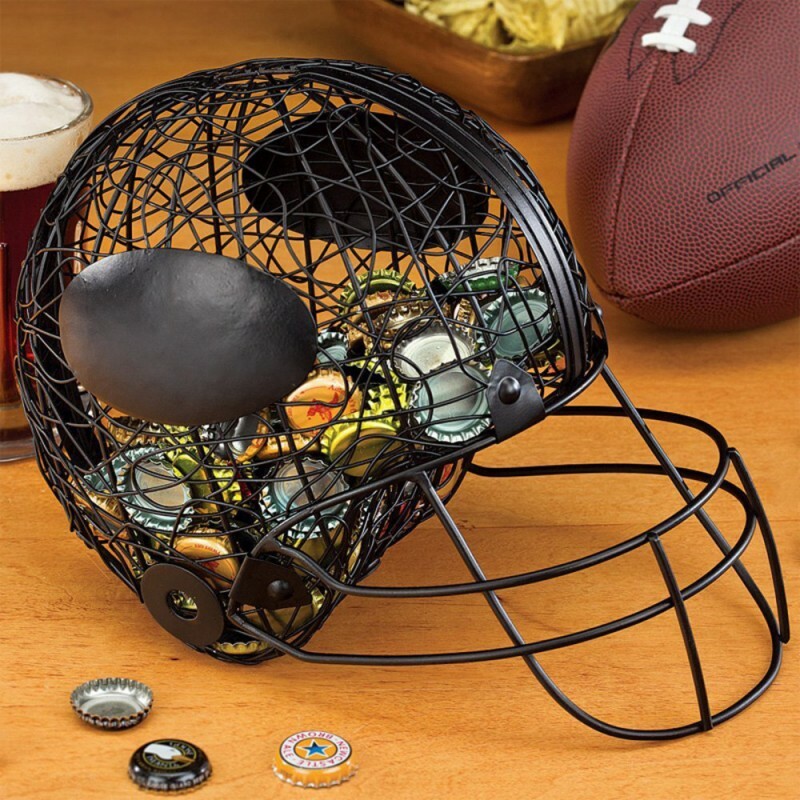 This fun conversation piece was designed for football fans and beer enthusiasts alike. Getting ready for the Big Game? The side oval panels can be marked with chalk to show your team spirit. The metal mesh has a durable powder-coat finish and will dominate any man cave. Add new caps from the top or bottom of the helmet. Cage is for bottle caps only, does not fit wine corks. Dimensions: 11"W x 6"D x 8"H.
Fun accent piece for football fans - looks great on in a recreation room on a bar or mantel.